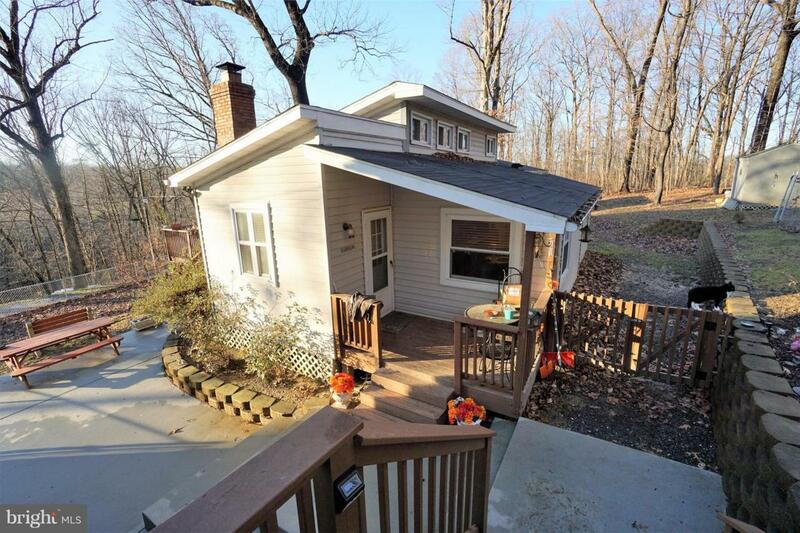 This 2Br 1 bath home is situated on approx 1 acre private wooded lot in Keyes Ferry Acres. Home features a detached 2 car garage with fully finished apartment area on upper level which includes 1BR, kitchen and rec room. Additionally there are two additional lots included in this listing approx .75 acres making this parcel a total of approx. 1.75 acres! Sit back on your deck and enjoy the peace and quiet of the mountains of Harpers Ferry! Convenient commuter location to Rt 7 and Charles Town WV. Inclusions This Listing is For The Lot With Home As Well As Two Additional Parcels included.